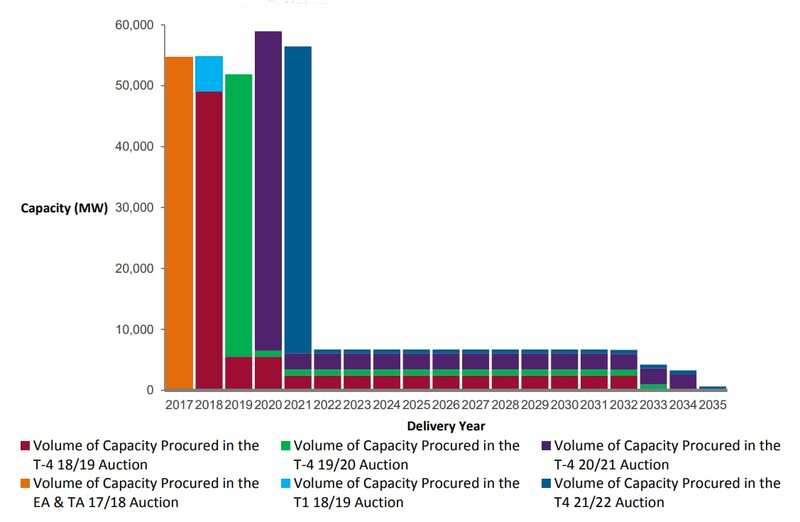 Interconnectors have elbowed out new gas in the latest four-year-ahead (T-4) capacity auction after it cleared at just £8.40/kW – a record low price for a T-4 auction. Despite all but 2.6GW of coal generation exiting the auction, only 762MW of new build generation was successful. The majority consisted of gas-fired reciprocating engines, while no new gas turbines secured agreements. By contrast, all of the interconnectors which entered the auction won contracts, including three new build projects – Nemo, Eleclink and IFA2 – with a combined capacity of almost 2.2GW. Out of the 74.2GW of total capacity to enter the auction for delivery starting in 2021/22, 50.4GW secured agreements. 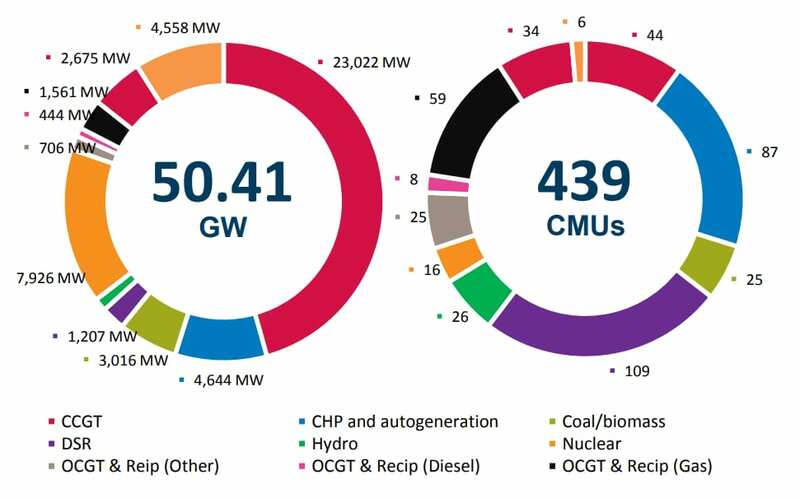 The overwhelming majority (43.3GW) went to existing generation. 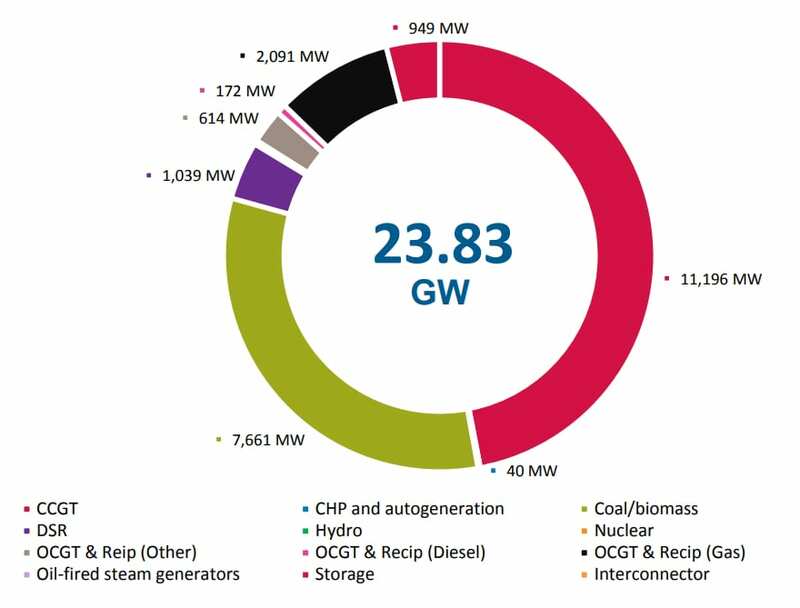 More than 7.6GW of coal generation dropped out, as did 11.2GW of new build combined-cycle gas turbines (CCGTs). Existing CCGTs were the biggest winners, securing agreements totalling 23GW. The largest new build contracts went to two energy-from-waste plants – SSE’s Ferrybridge Multifuel Energy 2 (66MW) and Covanta’s Rookery South (57MW). Around 2.7GW of reciprocating engines were awarded contracts. Undeterred by the recent introduction of new emissions limits for mid-sized generators, 444MW of known diesel engines secured agreements although 172MW dropped out. Following reductions to the de-rating factor for most batteries, only 153MW secured agreements, with 949MW of storage exiting. Demand-side response was awarded 1.2GW but missed out on more than 1GW. As most interconnectors have a guaranteed minimum income under Ofgem’s cap and floor regime, Edwards said they “don’t really care what the price is in each given year”, hence the record low clearing price. They also benefit from an exemption from transmission charges and the fact that continental generators face a lower carbon price than UK generators. With a number of other new interconnectors also in the pipeline, he said they are likely to continue depressing prices in in future auctions, preventing CCGTs from finding some long-awaited success. The “big exodus” of capacity at around the £40/kW mark suggests this is the price that most new build CCGTs will need to go ahead, although some could bid lower if they face lower transmission charges due to their location. “We didn’t think that was going to happen this year and probably won’t next year either because we’ve got to wait for a large exit of capacity,” added Edwards. Aside from coal closures, he said the next major “pinch point” will come when old nuclear plants begin closing around the mid-2020s: “That’s when gas really should come into its own and be able to capture the market.” Even then, CCGTs will face strong competition from interconnectors and gas-fired reciprocating engines. The only coal generation to secure agreements consisted of two units at Drax and three units at Ratcliffe. However, Edwards said this doesn’t mean that these will be the only coal units left operating for 2021/22. “Today’s capacity market results indicate that coal’s exit from the UK’s energy system just moved a step closer as coal contracts fell by half compared to last year. Three electricity interconnectors with France and Belgium also won contracts, making UK’s sustained participation in the internal energy market all the more important.